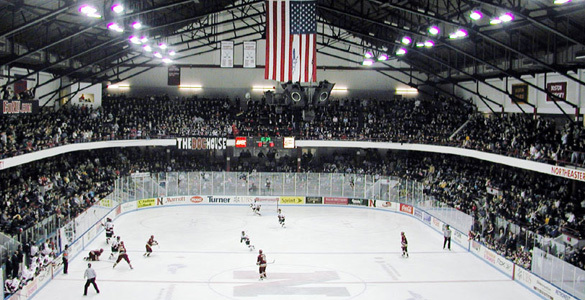 Goaltending was optional for both teams as the Northeastern Huskies outlasted the vaunted UMass Minutemen in an offensive affair, 6-5. 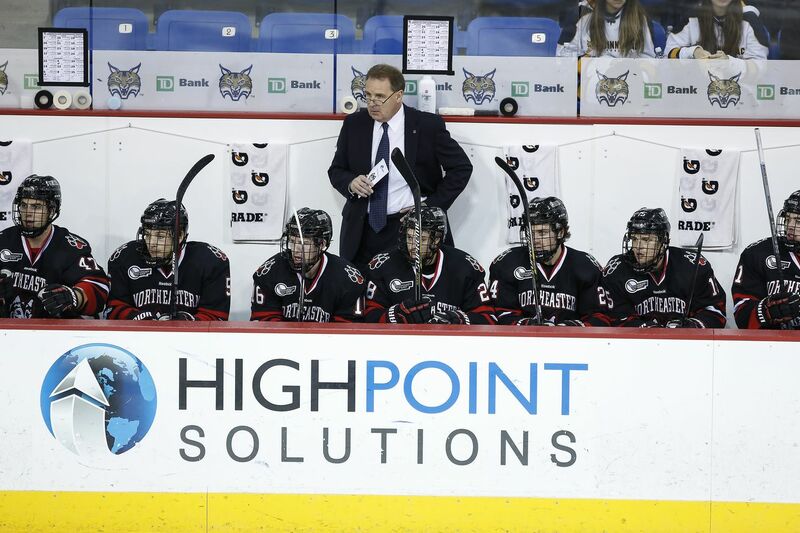 In the most recent and most egregious example of winning in spite of goaltending, the Huskies rode a career-high four point game from Jeremy Davies and three points from both Dylan Sikura and Adam Gaudette to secure the win. Ryan Ruck saved thirty of thirty-five shots. The Huskies got on the board in the first minute of the game when Matt Filipe picked off a pass deep in UMass territory, skated in on goalie Nic Renyard alone, and fired a shot under the glove for his fifth of the year. UMass tied it up shortly after Joseph Widmar potted a loose puck after Jake McLaughlin rushed the goalie on his own. Garret Cockerill gave the Huskies the lead again with his sixth of the year, on the powerplay, before UMass came back with two goals of their own by Jack Suter and McLaughlin. Early in the second period Gaudette tied the game with his patented snipe-through-the-legs to the top shelf, which spelled the end of the night for Renyard. Ryan Wischow took his place in net for UMass, who responded by taking a 4-3 lead off a goal by captain Steve Iacobellis. Gaudette struck again, on the powerplay, to tie the game before the period ended. The third period was the only one where I would say Northeastern controlled the pace of play, thanks in large part to three UMass penalties. 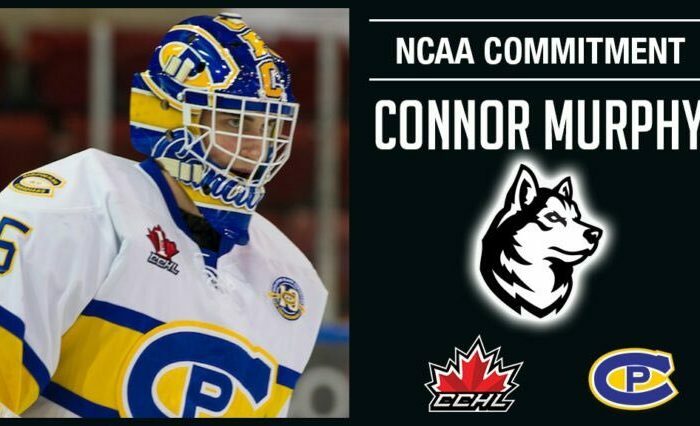 The Huskies took a 5-4 lead when Gaudette made a tremendous one-man effort to get a shot off, and Davies potted the long rebound into a vacated net. It was Davies’ sixth goal of the season. Sikura potted the eventual game-winning goal on the powerplay two minutes later, converting a 5-on-3 powerplay by ripping a one-timer over Wischow’s glove. UMass would get one goal back again by Iacobellis’ conversion of a pretty odd-man rush. This game was ugly, and not one that Northeastern should look for the learn much that they did well. 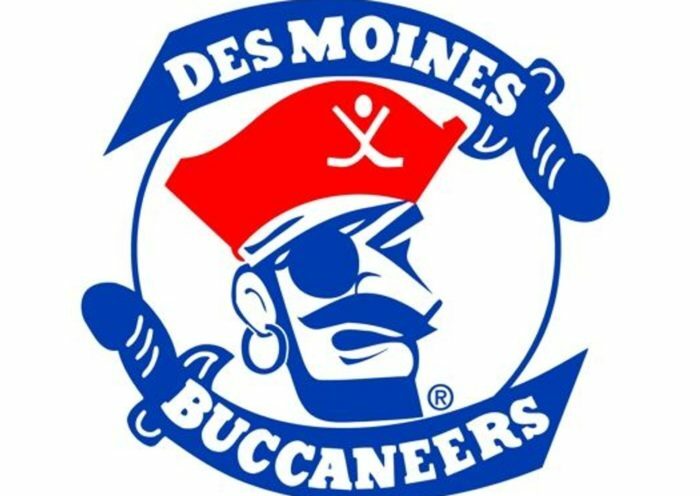 The offense exploded, obviously, but the defense and goaltending allowed 5 goals to a team that was averaging less than two goals per game entering play, and allowed a powerplay goal to a team whose average was under ten percent entering play. The UMass commentators were verbally ripping Ruck for flopping around, poor positioning, going down to early, and saying how “UMass knows the book on Ruck,” all of which was unsurprisingly accurate. Ruck has show he is capable of good games, but his wild inconsistency will make it difficult to count on him as Northeastern enters Beanpot and postseason play. Sikura’s three points now puts him in a tie for the national lead with Union’s Mike Vecchione, with 44 points in 26 games. Northeastern is also on the verge of having a record above .500 for the fourth straight season, which has not happened since the late 1930’s-early 1940’s (stick tap to Sean Hathaway, @seanphathaway, for that tidbit this morning). 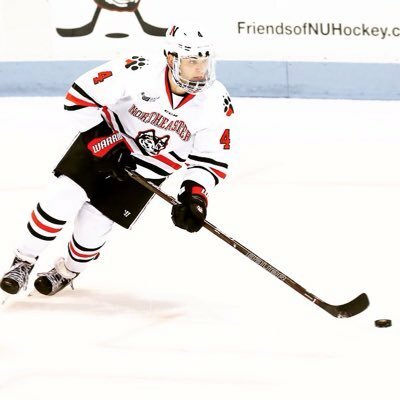 Northeastern is back home at Matthews Arena this Friday to finish their series with UMass-Lowell before the Beanpot begins on Monday. Injury note- Grant Jozefek was the victim of attempted murder when he was crushed into the boards well after clearing the puck in the second period. No call was made, and Jim Madigan was rightly furious, ripping into the officials both after that period and after the game. Jozefek did not return to the game. Given his recent battles with concussions, we are hoping that Jozefek did not sustain long-term damage again, and has a quick recovery.